This is an egg / oil tempera painting on primed wood. It is based on an old type of norwegian calendars used in the medieval times to tell people when to go to church, when to harvest and so on. 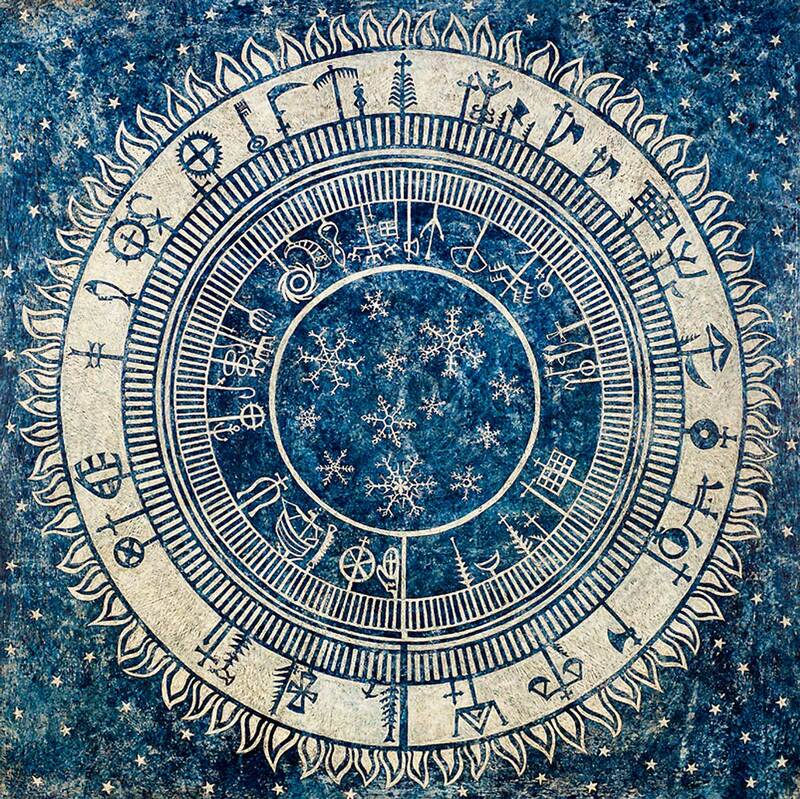 These calendars are called " Primstav" The inner circle represent the winter half of the year and the outer circle represent the summer half of the year. Each day have one line and important days have their own symbol. I painted it in 2013.